Russia has denied reports that it sent hundreds of troops to shore up separatists in east Ukraine. It comes as a NATO military officer said that well over 1,000 Russian troops are operating inside Ukraine, in support of pro-Moscow separatists. "They support separatists, fighting with them and fighting amongst them," the official said on condition of anonymity, adding that the supply of arms by Russia had increased in both "volume and quality". The US said yesterday it would discuss the possibility of further sanctions against Russia with NATO allies. "We have additional tools and sanctions that we can certainly choose to put in place," a spokesperson for the US state department said. "... We are taking every tool that we can to see if we can reach a solution here through diplomatic means," they added. Speaking ahead of an emergency meeting with the National Security Council last night, President Barack Obama said it was "plain for the world to see" that Russian forces were fighting in Ukraine, but ruled out any US military action to resolve the escalating conflict. President Obama, who is due in Wales next week for a NATO summit, made clear that ex-Soviet states now in the alliance could expect a US military defence, but said such guarantees did not apply to non-member Kiev. 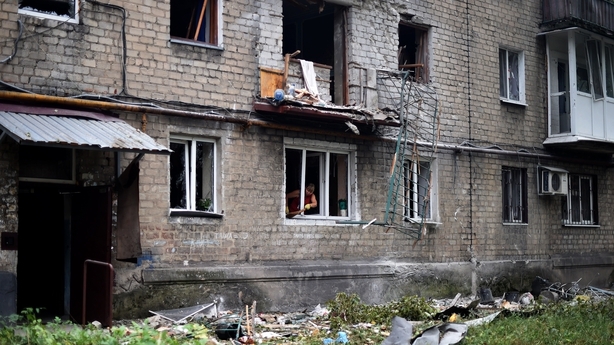 15 people were reportedly killed in Donetsk in shelling attacks yesterday, with local authorities reporting large destruction to homes and infrastructure in districts surrounding the city. Russia has denied any military presence in Ukraine with a spokesperson for the defence ministry telling Russian media "this information has no relation to reality." They added that any army units believed to be crossing into Ukraine were conducting "tactical training exercises on their own and outlying ranges" and "were the normal work of any army." 28 NATO ambassadors will hold an emergency meeting in Brussels at 8am Irish time on Friday, to discuss the situation. The meeting will be followed by talks with an envoy to the alliance from Ukraine. The UN Security Council held an emergency meeting in New York yesterday evening to discuss the crisis following reports that Russian militants were crossing eastern Ukraine. In light of the unrest Ukrainian President, Petro Poroshenko, called an urgent meeting of the country's security and defence council and cancelled a work trip to Turkey. A member of President Vladimir Putin's advisory council on human rights, Ella Polyakova, also said she believes Russia is carrying out an invasion of Ukraine. "When masses of people, under commanders' orders, on tanks, APCs and with the use of heavy weapons, (are) on the territory of another country, cross the border, I consider this an invasion," Ms Polyakova told Reuters. The presence of any Russian troops in eastern Ukraine is being denied by Moscow's envoy to the OSCE. Ukraine said yesterday "Russian troops" had seized control of a key south eastern border town where fierce clashes had been raging. 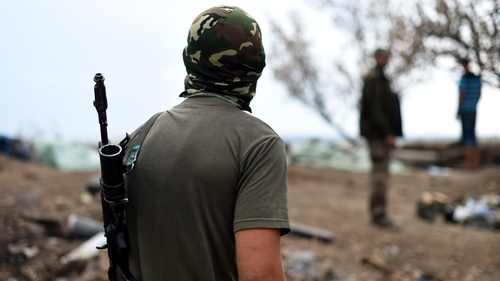 Pro-Moscow rebel forces in Ukraine have gained a foothold on the Azov Sea and their objective is to fight their way down the coast to the Ukrainian port city of Mariupol, the leader of the main separatist entity has said. 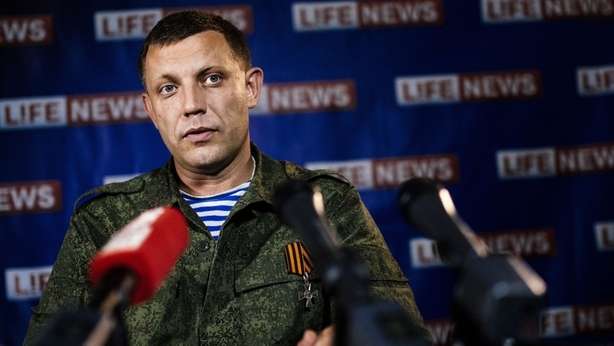 Alexander Zakharchenko, prime minister of the self-proclaimed Donetsk People's Republic, said in an interview with Reuters that there were about 3,000 Russian volunteers serving in the rebel ranks. He said that the rebels could defeat the Ukrainian military without the need for the Russian state to provide them with military support. Ukraine has withdrawn its forces from Novoazovsk to save their lives and are now reinforcing defences of Mariupol, Ukraine's Security and Defence Council has said. Ukraine's ambassador to the EU has called for "large-scale" military assistance from Brussels as Kiev and Washington claim Russian troops are fighting in the east of the country. Kostiantyn Yelisieiev called for EU leaders who are meeting on Saturday to decide on "further resolute significant sanctions and large-scale military and technical assistance to Ukraine in order to stop the aggressor". 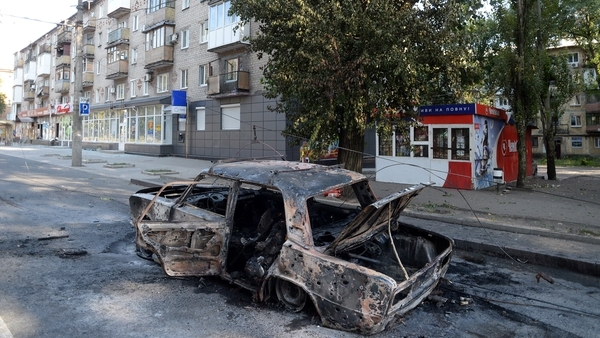 Earlier, the US ambassador in Kiev said Russia is now "directly involved" in fighting in the war-torn east of Ukraine. "An increasing number of Russian troops are intervening directly in fighting in Ukrainian territory," Geoffrey Pyatt wrote on Twitter. He added that Moscow was "directly involved in the fighting" and had sent in its "newest air defence systems including the SA-22".